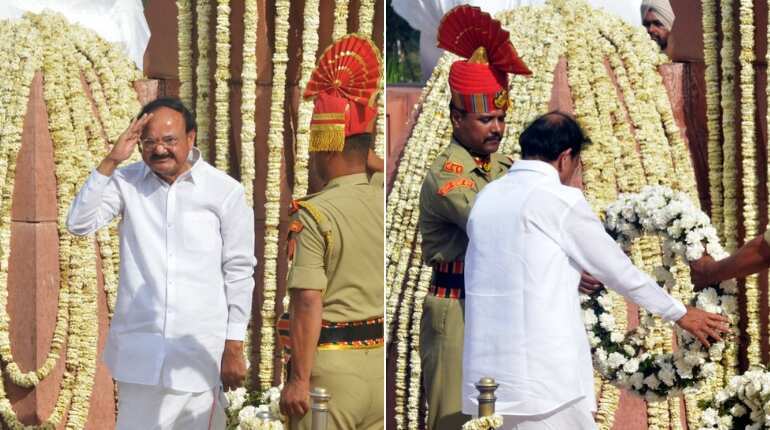 India on April 13 remembered Jallianwala Bagh massacre victims with Vice President M Venkaiah Naidu and Congress chief Rahul Gandhi paying tribute to those killed in the Amritsar tragedy 100 years ago. Vice President M Venkaiah Naidu paid his respect by placing a wreath on the memorial and listened hymns being sung by Sikh priests at Jallianwala Bagh. He also released a commemorative coin and a postage stamp to mark the centenary. 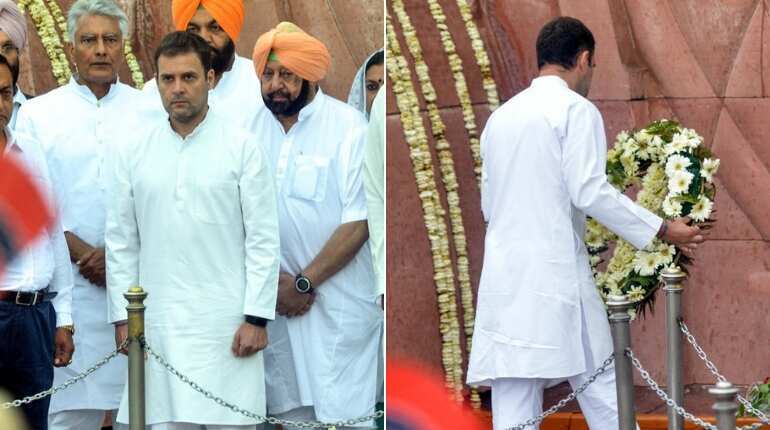 Congress president Rahul Gandhi paid floral tributes at the Jallianwala Bagh Memorial and said the cost of freedom must never be forgotten. He was accompanied by Punjab Chief Minister Amarinder Singh, state minister Navjot Singh Sidhu and some other Congress leaders. They also observed a two-minute silence to remember those who were massacred in the tragic incident on April 13, 1919. 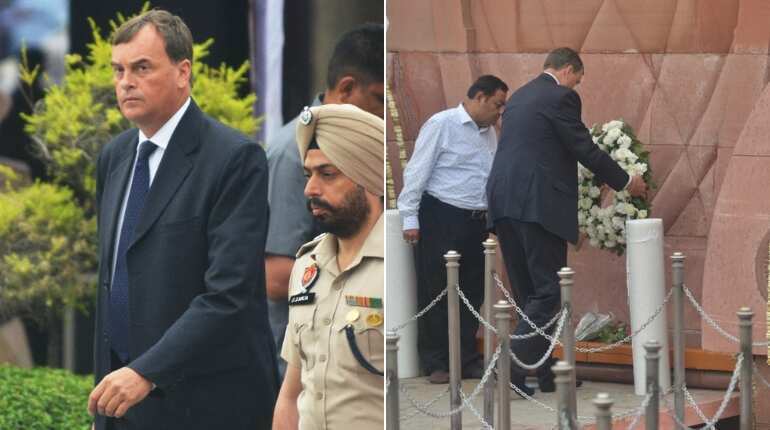 British High Commissioner to India Dominic Asquith also visited the Jallianwala Bagh Memorial separately and laid a wreath there. In the visitors' book, Asquith wrote, "The events of Jallianwala Bagh 100 years ago today reflect a shameful act in British Indian history. We deeply regret what happened and the suffering caused." He also wrote, "I am pleased today that the UK and India have and remain committed to developing further a thriving 21st century partnership." 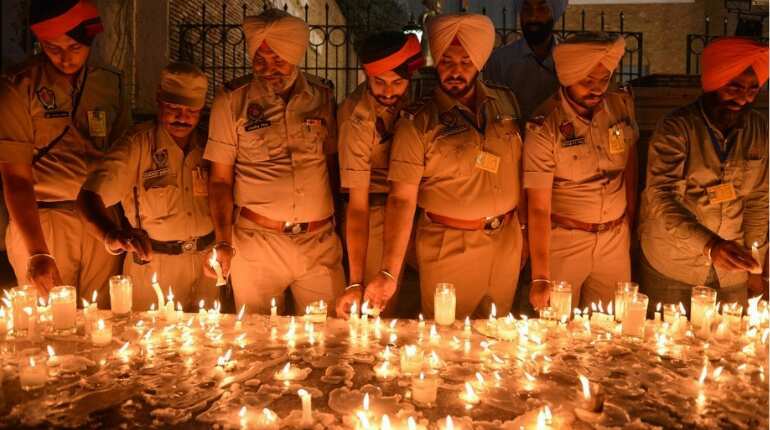 Punjab Police personnel light candles as they pay tribute to the Jallianwala Bagh massacre martyrs. 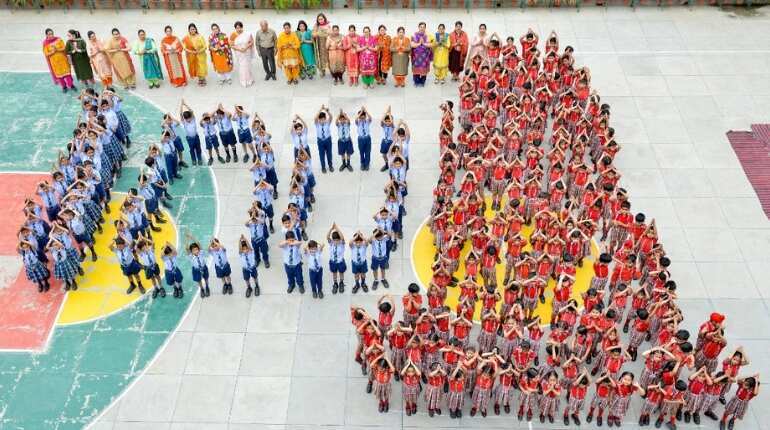 School students and teachers stand in the shape of the number '100' and the Jallianwala Bagh Martyrs' Memorial, as they pay tribute to mark the 100th anniversary of the Jallianwala Bagh massacre at Shri Ram Ashram Public School in Amritsar.